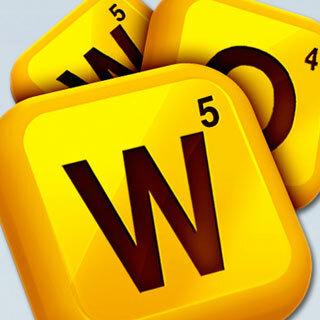 If you are a fan of playing Scrabble but prefer to play games that use technology, then the new game Words With Friends should be right up your street. In this game, players are encouraged to improve their vocabularies while having fun and solving a challenge. Words With Friends can be played in many different ways. You can play it if you have a smartphone or tablet. If you have been playing PartyPoker on your computer and a friend asks you if you want to play Words with Friends, you can play it on this device as well, via Facebook. Therefore this game also allows players to chat with each other during play and socialise in a fun and educational environment. If you want to be adventurous, you can even play this game with strangers in a challenge that you can take part in online. It seems that Words With Friends appeals to people of all different generation, with grandparents, office workers, college and high-school students all expressing an interest in playing. It has also become popular among celebrities, players including singer John Mayer, actor Alec Baldwin, actress Eliza Deshku and football player Terrell Owens. The convenience of this game is that it can be played across many different mobile devices, ensuring that wherever you are, there is usually some way in which you can begin playing. For those who are really into this game, it is even possible to play Words With Friends tournaments. These can be organised via e-mail or Twitter, by reaching out to fans from various different fan sites that are spread out all over the world. A very high-profile competition like this was started by D magazine in Dallas. Players included the Bettner brothers from Texas, creators of the company Newtoy, an opera singer and a professional football player. Co-president of the National Scrabble Players Association Chris Cree, from Dallas, won the game. So what are you waiting for? Play Words with Friends now!